This is the final chapter of my free report on “How to Make Money with Lending Club.” I've been publishing the report as blog posts, so you can access them without having to download the report. If you’d like to read everything in ebook format, go ahead and download the report today! 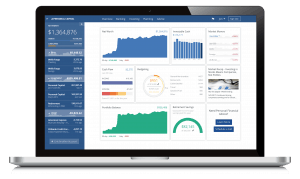 Making money with Lending Club is easy. All you need is some cash that you’re willing to invest (keeping your total portfolio diversified, of course. Remember what happened in Cyprus in 2013!) and a few minutes of your time to select the loans you would like to fund. You have two options: log into your account and create a filter to only invest in the loans you want; or, let Lending Club do the selection for you. 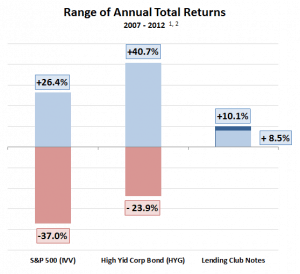 100% of investor with 800 or more notes have experience positive returns from 2007-2013. And 93% of them have experience returns from 6-18%. That’s quite an accomplishment for a 5 year time period! How Much Should I Invest in Lending Club? How much money should you invest? I would recommend no less than $1000 initially. 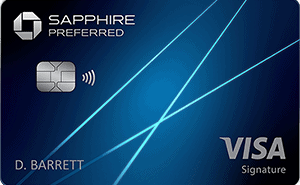 This will allow you to spread your investment over 40 loans at $25 per note. This allows for some diversification and for you to get the feel of using the Lending Club platform. Beyond that, you have to decide what the safe level of risk is for you. DO NOT INVEST EVERYTHING YOU OWN INTO LENDING CLUB. DO NOT. Look at Cyprus in 2013. Any amount above the insured amount in bank accounts was taken from the accounts! Look at Enron. All those employees who had their entire savings in Enron stock lost everything. Look at Bernie Madoff. People loved his 20 years of double digit returns. But it was a Ponzi scheme. People lost billions. Nothing is ever a sure thing. There’s an old saying about putting all your eggs in one basket. Lending Club is one risky and very new basket. Read the prospectus. Read the risks involved. Be knowledge. Again, DO NOT put your life savings into Lending Club. What Kind of Asset is Lending Club? In an interesting aside, Lending Club has actually outperformed the US stock market (as measured by the S&P 500) in the 5 year period from July 1, 2007 to September 30, 2012. 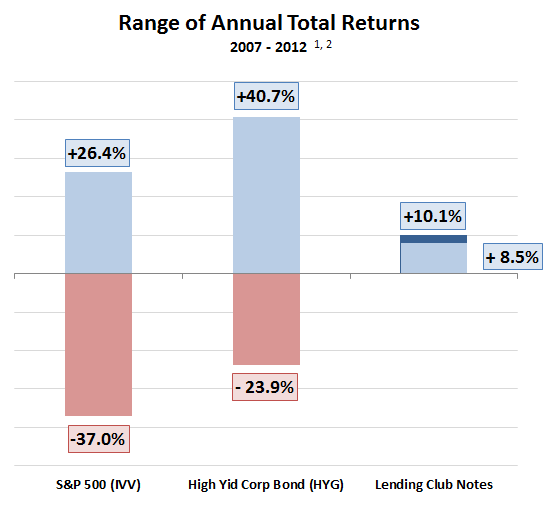 Additionally, the volatility of the returns has been much smoother for Lending Club versus the stock market. Because Lending Club relies on monthly payments from credit worthy borrowers, there is none of the up and down swing of the market. Now that we’ve gotten the caution about diversifying out of the way, let’s talk about how to make money with Lending Club. When you first open your LC account, you’ll have two ways of funding it: Wire Transfer (takes 1 business day) or ACH transfer (takes 4 business days). Wire transfers usually cost $18-25 per transaction, so it’s probably smarter to save your money and just do the ACH transfer. You’ll connect your checking or savings account to Lending Club so you can make deposits into LC and withdrawals to your bank account. Once that’s set up, you can make single transfers or schedule automatic transfers, for instance every paycheck put another $100 into your LC account. This is a great way to save automatically. Once the money is in your account, you’re ready to start selecting loans to invest in. Lending Club offers three automatic investment options, from least risky and lowest return to most risky and highest return. These portfolios are automatically generated by investing $25 in each loan selected and by selecting a variety of grades. This can be a good option if you have a large portfolio and don’t have a lot of time to filter your loans. With a large enough portfolio, you will probably see returns close to what Lending Club predicts by investing in these automatically generated options. However, I believe there is a better way to invest that results in lower default rates and higher returns. The key is filtering out loans that have historically performed poorly. Filtering out defaults is especially important. While “past performance is not a guarantee of future results,” we can learn from the past and plan accordingly. For instance, look at the chart on the right. After D graded loans, the interest rate continues to increase on average by 2 percentage points. However, the net annualized return does not increase by a corresponding 2 points. And at the G graded loans, even though it’s the highest interest rate, the NAR is actually less than the F graded loans! This is due to the increased number of defaults G rated loans experience when compared to all the other grades. What Loans Should I Invest In? So how do you know which loans to invest in? The best thing to do is to “back test” your strategy on the enormous amount of data Lending Club releases monthly on all of its loans. This is available under the statistics section of the LC website, or you can use a site like NickelStreamroller.com or LendStats.com to easily analysis the data. Many bloggers also publish their Lending Club investment strategies, based on tests they’ve done to maximize their returns. Here’s an example strategy. If you invest in just C and D loans, your expected return would be 8.34% with 3.56% of your loans defaulting. However, if you filter these C and D loans and only select those which are specifically earmarked for credit card payoffs, your Return on Investment (ROI) increases to 10.61% and your default rate drops to 1.99%. If you add another filter of minimum FICO score of 650 and minimum monthly income of $5000, your return increases to 10.8% and defaults drop to 1.95%. There a lot of strategies available to investors. Simply letting Lending Club do the investment for you does not maximize your returns while minimizing your defaults. Applying a few simple filters and diversifying your loans is the optimal way to make money with Lending Club.